Martin County’s FREE music series is better than ever! 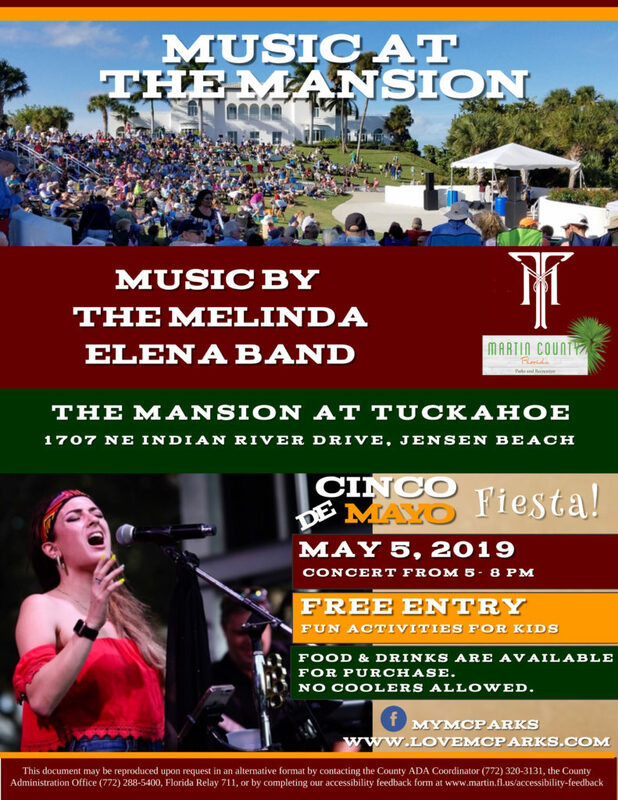 Invite family, friends, neighbors and everyone you know to come and enjoy a great performance from The Melinda Elena Band right in front of the Indian River Lagoon! Admission to the concert is FREE and to make a great event even better, we will have FREE kids activities to keep the little ones entertained! Mexican foods will be available for purchase to satisfy all your cravings! No coolers allowed.